Home › Energy-Efficient LED Lighting › Cvlife 300 Lumens Camping Lantern Cob Led Light Flashlight Portable Outdoor L..
Cvlife 300 Lumens Camping Lantern Cob Led Light Flashlight Portable Outdoor L.. Turn the lights on by lifting the top section up then turn it off by sliding it back down, very easy to use. With a Foldaway Handles, you can hang it on a tree, tent, or holding by hand. 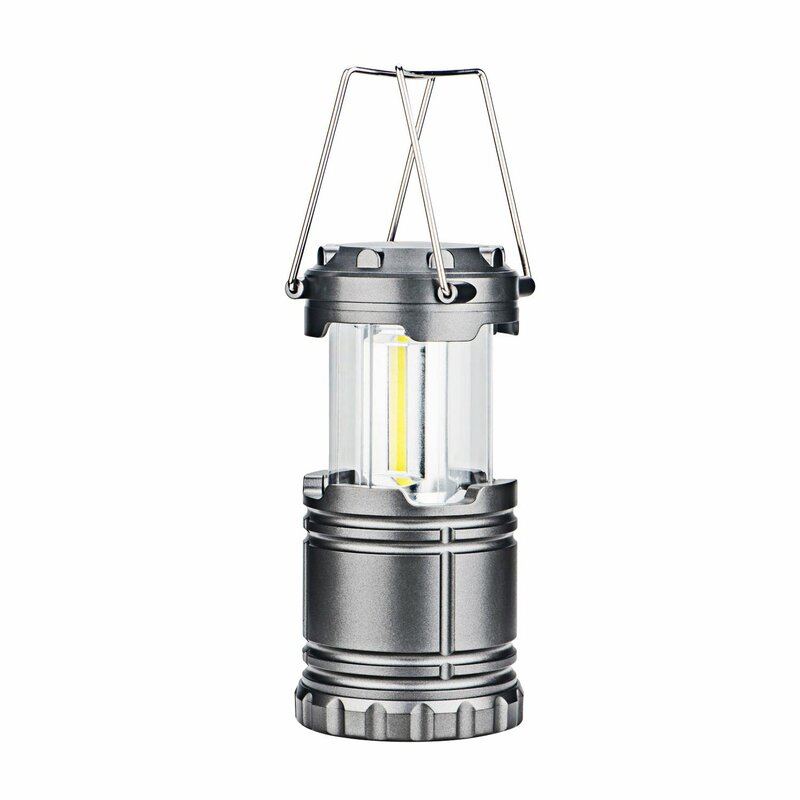 Specification of the Camping Lantern Light Source Type: COB LED Material Type: ABS Product Size: 3.54''(diameter) x 4.72''(Height);7.08''(After lifting) Net weight: 4.58oz Power resource: 3 x AA batteries((Not included) Instruction: 1. Install 3 AA batteries correctly on the battery box 2. Pull upward on the lantern handle to light the lantern up 3. Collapsed the lantern down to turn it off Feature: 1. Easy to change its batteries, the lantern needs no setup or prepping withfires or oils. 2. With powerful COB LED bulb and the omnidirectional design provide fillomnidirectional lighting for clear vision no matter where you may turn. 3. The fold-out collapsible handles make for easier portability and hanging. 4. Tactical Collapsible, Waterproof and Lightweight design, Perfect forcamping, Fishing, Hiking and Emergencies, Traveling, very easy to carry.